What do you do here at 100 Park Ave? I’m a Paralegal at ABN AMRO. I’ve been knitting since 2009 and I got into it from a class I took when I was living in Brooklyn. The shop is no longer there but the friendships and skills I made still are! 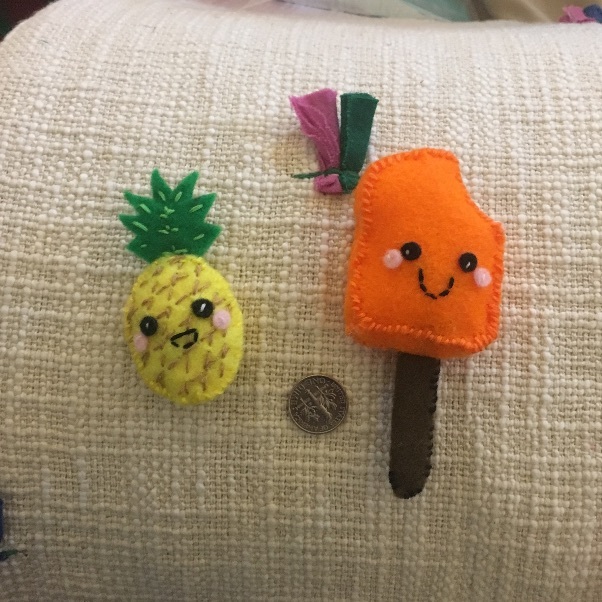 I have been sewing all my life but just started sewing felt fruits and foods a few months ago! Visit Chae during our Holiday Bazaar on the 15th Floor on Tuesday, December 18 from 12 to 2pm where she’ll be selling her crafts.